Immunology of Infection, 2nd Edition, edited by two leading experts in the field, presents the most appropriate up-to-date experimental approaches in the detail required for modern microbiological research. Focusing on the methods most useful for the Microbiologist interested in analysing host-pathogen relationships, this volume will be essential reading for all researchers working in microbiology, immunology, virology, mycology and parasitology. 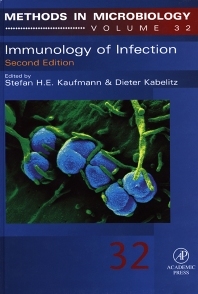 This new edition of Immunology of Infection provides ready-to-use "recipes", and the latest emerging techniques as well as novel approaches to the tried and tested, established methods included in the successful first edition.